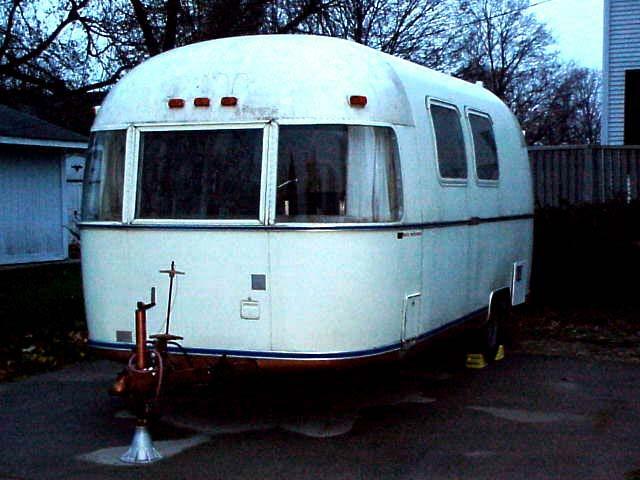 Overview This coach was purchased new by **** ***** who was a Professor of Fine Arts at Indiana State University. 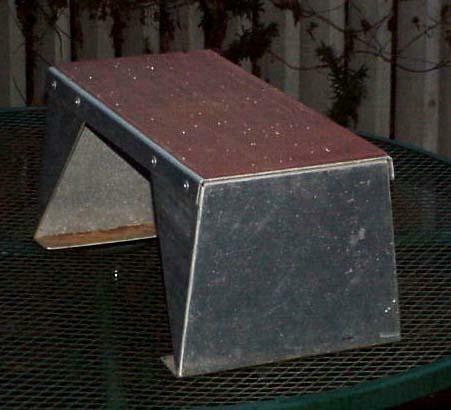 During its life with the Professor, the little coach traveled to all of the provinces of Canada, most of the states of Mexico as well as all of the lower 48 states. I don't have a record of whether the coach has ever been on an Alaska trip. One of the biggest motivating factors behind my purchase of this little coach was that it seems ideally suited for making an economical Alaskan journey. 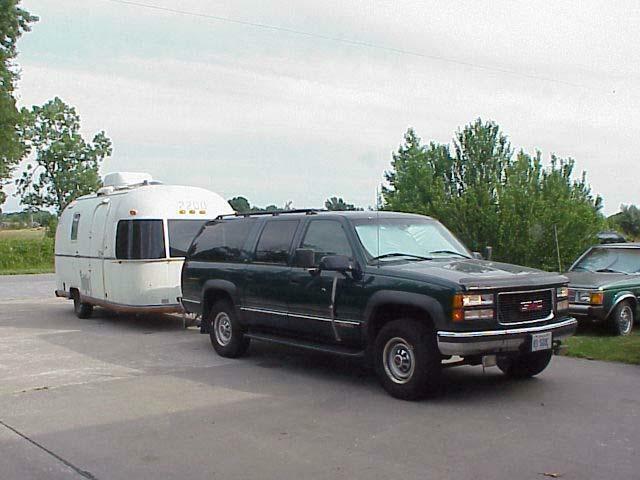 The biggest modification on this coach was the three-piece front rock guard. 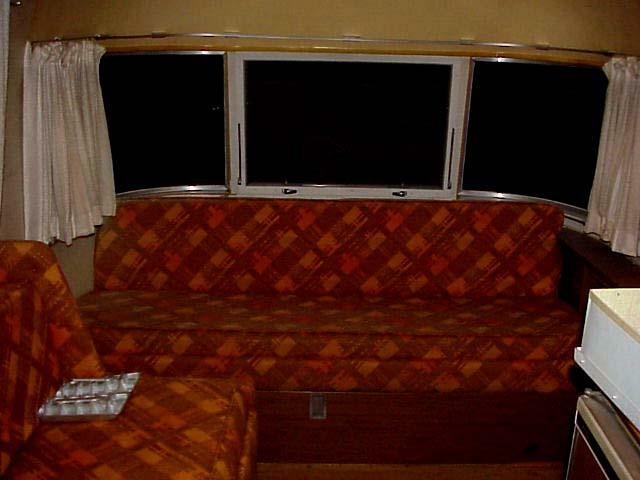 The rock guards didn't come along until the deep-wrap wing windows were added to the mainline Airstream coaches. 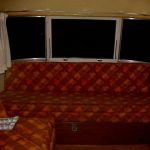 Today, this modification is critical as the wing windows are very expensive to replace -- and the new units are availalbe only with tinting, and the 1972-1979 Argosy coaches all used clear glass wing windows. 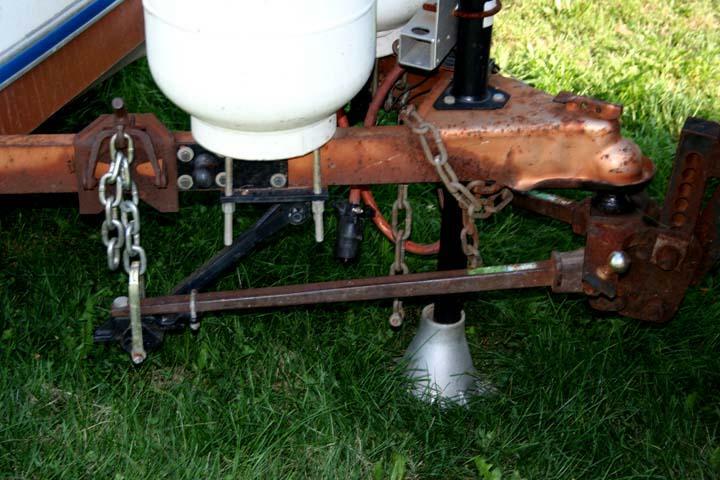 My second addition was a set of 4 BAL stabilizer jacks -- a very worthwhile addition in my opinion, and one that was available as a factory installed option.. 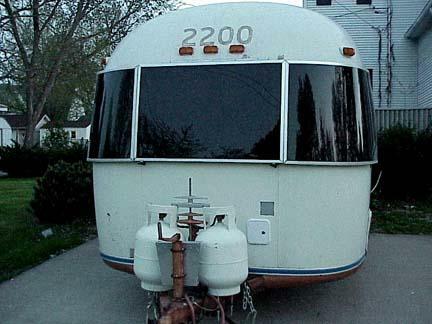 I also had Ace Fogdall RV add a Coleman Air Conditioner to the coach -- the coach had never had an air conditioner. 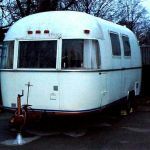 Unlike Airstream coaches of this period, Argosy coaches could have air conditioner prep packages added when ordered so even if the original owner didn't want an air conditioner the feature wasn't completely forgotten. . . . 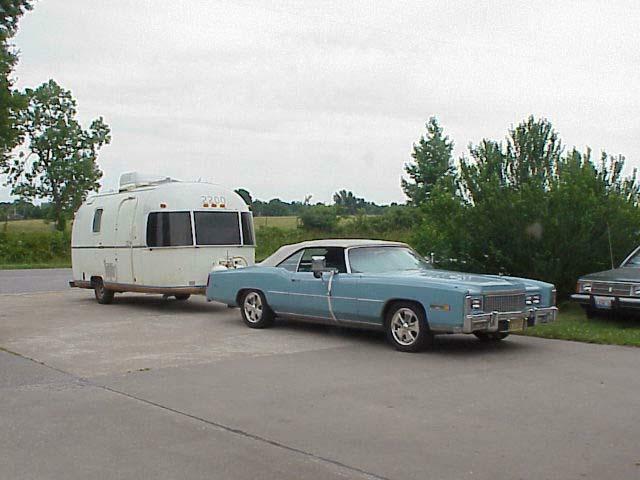 The coach also did not have a television antenna so a Bat-Wing antenna was added for relaxation while traveling. 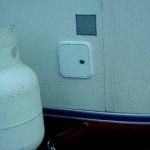 As with all of my coaches, a Fantastic Vent was installed to replace the original factory vent and fan -- a huge improvement when compared to the amount of air moved by the ineffective fan supplied by the factory. 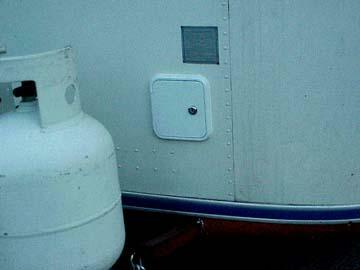 A new Atwood water heater was installed to replace the defective original. 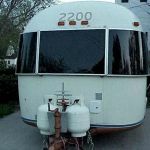 As with most Argosy coaches, owners don't get too upset if an air conditioner isn't part of the deal when looking at coaches -- in all probabiity, every coach had the air conditioner preparation package, but it wasn't listed on the options sheet. When I purchased the coach, the interior was absolutely stock and showing its age. The drapes were sun-bleached and shredding as were the top cushions of both sofas. 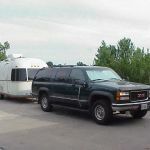 There wasn't any question about who would handle the interior -- Arlene and Henry Fowler of Fowler RV Interiors. Both lounges were treated to new high-density foam cushions along with a fall motif foilage upholstery fabric that coordinated beautifully to the near perfect original orange laminate countertops. New drapes with black-out linings were sewn utilizing a fabric that was nearly identical to the original. One slight deviation from factory was made in that min-blinds were installed behind the drapes. The badly yellowed front and rear interior domes were sponge painted to simulate the original appearance of the domes. 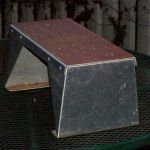 Armstrong laminate floors were installed over an extra layer of Quiet Step Underlayment to compensate for the rows of rivets that might otherwise have telegraphed through the material. New birch veneer tambours were installed in all of the roof lockers -- the material received a pickling stain to coordinate with the off-white vinyl-clad walls. As with all of their projects, the interior received a white glove cleaning. Thus far, the coach has received no cutomization. All refurbishment/restoration has been to the factory original quality level. 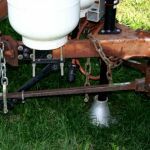 A new Henschen Axle with a 10% capacity upgrade was installed by Ace Fogdall RV in Cedar Falls, Iowa. This was a badly needed procedure and eliminated much of the trouble with closets and compartments being emptied while underway. This little coach was first introduced to me at the Sioux Falls, South Dakota International Rally. I will never forget standing near the bull-pen when this coach arrived -- it was the first Minuet that I had ever encountered. It was such a cute, modern interpretation, of the classic Airstream Bambi. For a number of years I had secretly wanted a Bambi, but couldn't bring myself to pay the premium for the 1961 through 1964 Babmbi/Bambi II. I struck up a conversation with the owner and learned so much about the little coach and Argosys in general. Before departing the Rally, I mentioned to the owner that I might be interested in purchasing the coach should he decide he wanted to sell. 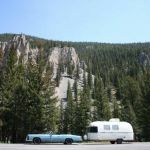 Less than two years later, we were working out the details for my purchase of the coach as the original owner had retired and purchased a larger coach for his post-retirement travels. 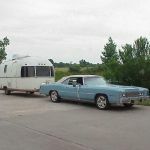 The first tow vehicle utilized for this Minuet was a 1978 Ford LTD sedan with the 460 big-block V8. 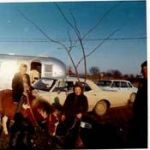 It was far more tow vehicle than the little coach required, but the car certainly never had any issues towing the little coach wherever the owner wished to travel. In later years, it was towed by a succession of 1/2-ton pickups -- but they just do not look correct towing this little coach. 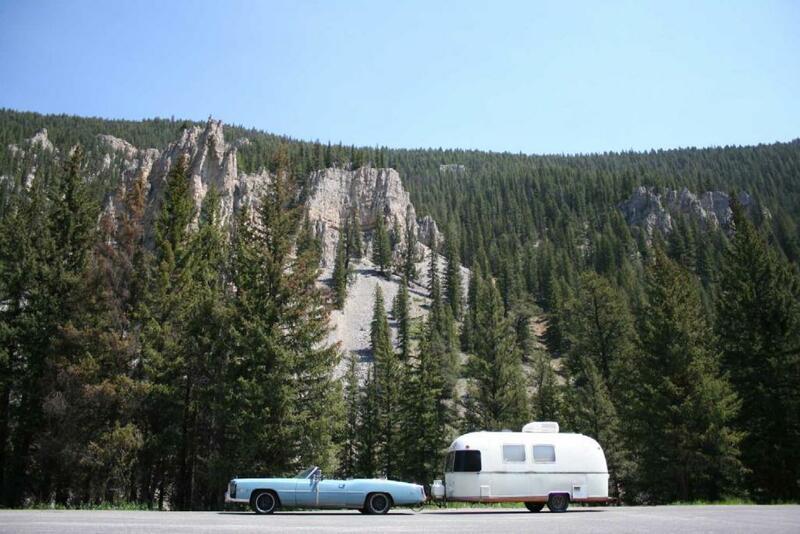 In 2008, the little coach accompanied me to Bozeman, Montana for the International Rally and it happily followed my 1975 Cadillac Eldorado Convertible -- there is no comparison for the experience of Airstreaming with the top down on the tow vehicle.